As we approach 2019, DVD is still proving to be one of the most financially viable formats available for businesses and independent producers needing to deliver content. However, all this depends on proper preparation and implementation of the assets and authoring parameters. HD DVD Video can rival Blu-ray disc image quality at a small fraction of the cost to the producer, and with much higher returns for the dollar than either Blu-ray or computer download, as many are aware. However, one misstep can mar DVD image quality or player compatibility, resulting in the disintegration of these otherwise achievable goals. When you bring your disc projects to DVDVerification.com, Trai Forrester, who lead the development of DVD AfterEdit in 2002, and who many in the industry refer to as one of the world's most experienced DVD authorities, takes you under his wing. Our clients continually report drastically improved image quality and totally smooth sailing in the marketplace. Or, are the discs experiencing playback problems out in the market? DVD Specification consultation and DVD production support. No matter where you are, it is worth every effort to get your DVD Image into Trai and his staff. Using FTP - Trai can start work verifying / proofing / pre-mastering / advising on, etc., your DVD Image on the same day you send. Please contact Trai right away to discuss your DVD project. Replicators do not run physical tests on the DVDs they manufacture for you (they don't have time). And the process they use for cursory checks of the run are faulty - regularly resulting in release of DVDs that have playback problems. Find out more about the issue, and how our exclusive DVD Check Disc Verification procedures protect your company. For example: Only after New Constellation Technologies exclusive DVD Check Disc Verification procedures are run on the disc, is DVD Player Bank Testing maximized - Here's why. DVDAfterEdit (originally named TFDVDEdit for the first 3 years) began with the interest generated by Trai's successful work-around (TFDVD-9 Maker) for DVD Studio Pro's DVD-9 replication problems back in early 2002. Through the efforts of dozens of TFDVD.com members (Trai's DVD Studio Pro support site) TFDVDEdit Mastering Edition was born, transforming DVD Studio Pro and all DVD authoring systems, by allowing advanced editing, re-authoring and pre-mastering directly from their VIDEO_TS folders. DVDAfterEdit is used by DVD Production Studios worldwide - including by many Hollywood Studios. For instance, Casino Royale (James Bond film) was pre-mastered for replication with DVDAfterEdit ME. "We have used DVDAfterEdit to produce several hundred DVD projects to replication successfully. We trust this system. The system is in use daily without fail or issue since the first test projects were produced on it." NCT verified and cleared for release MPI's 'Baraka', the highest resolution DVD and Blu-ray disc ever made (scanned in at 8K from 70mm Film). "Now, after switching to Trai's services 5 years ago, we can really see that customer complaints have dropped drastically. We are pleased with the attention we receive and faster turnaround time. After over twelve hundred (1,200) DVD projects with DVDVerification.com, we feel Trai is a member of our production team." "...we are completely dependent on Trai Forrester's production and verification services for our disc releases to market. If something were not always EXACTLY the way Trai says it is going to be, which they always are - I would shoot myself in the mouth!" "Trai Forrester is a DVD authoring and verification genius! We had the good fortune (and pleasure) to work with Trai on a major DVD project, the culmination of 10 years of my life's work. Trai was extremely generous with his time and provided exceptional and extremely valuable technical support. He assisted in authoring our DVD from the ground up and our final product was delivered on time and within our budget! Furthermore, Trai's reasonable rate and round-the-clock availability was absolutely worth the peace of mind that came with knowing that our movie was in great hands!" "Trai saved our bacon. We had a 'job from hell' and even 4000km of ocean didn't stop him from delivering the goods against all the odds. Thanks again for all your help and positive attitude." "When we started receiving complaints from clients about failing discs, I found the solution with Trai Forrester. He patiently guided me through the maze of proper DVD authoring, demonstrating methods not adequately detailed in manuals or third-party trainings. My discs now check out at zero errors and navigate more quickly than before. Trai's expertise in all things DVD has proven invaluable and has strengthened my clients' trust in me." History: Hundreds of MEI DVD-Video Verifier errors brought down to zero, during the course of several days: "1800 single menu pages, subtitle-links, index-programming, and lots of other "specials" - I guess this project really was complex, and Trai got it verified. No matter what day, no matter what time, even across "the pond", and beside the time-zone-shift - Trai was always there with answers, recommendations, hope and support - within minutes. thanx again Trai - we're looking forward to our next collaboration." -Roman Voska, Owner and Principle of MediaChance and DVD-lab Pro 2. "Trai Forrester has been my go to resource for DVD proofing and challenging troubleshooting issues for over 10 years. In addition to video production, I do a lot of DVD Authoring for a major consumer electronics company with very complex DVD Authoring specifications. Many of these projects take the DVD specification to the limits, resulting in bugs and issues we couldn't have overcome without the help of Trai Forrester. Trai is the ultimate professional, and great to work with, particularly with tight delivery schedules. He wastes no time jumping into your project, analyzing, and ultimately solving your DVD problems. 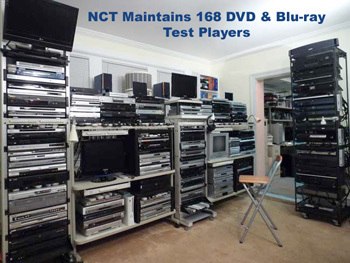 Particularly in the realm of DVD Verification and Proofing; not all DVD player manufacturers adhere strictly to the DVD spec, in these cases Trai is a master at developing work-around's to insure playability on a wide range of players. Trai has never failed to deliver, and always exceeds expectations. In my Address Book I have him listed as "DVD Guru" a title he truly deserves!" "I've been working with Trai for many years now and he is extremely passionate about his work. He strives to make sure every project that leaves his hands is technically sound and will have no problems once in distribution. I have the utmost confidence in TFDVD Research Labs and the service that they provide." Trai Forrester is a brilliant DVD-problem-solving hero. He saved the day, the DVD, and my skin. Please let me tell you about it. Three years into post-production on a small-budget, multi-language, heavily graphic, interactive, 2-disc instructional DVD, our far-flung testers reported that, despite the authoring team?s repeated best efforts, the DVD continued to play very badly or not at all on some older-model and off-brand DVD players and computers in Poland and Mexico, making the DVD impossible to use in these instances. This DVD had played better in the USA from early on. But since users of older and grey-market equipment in Poland and Mexico represented at least half of our anticipated market for the DVD, these test results were devastating. We were pretty sure from prior testing that the reported problems were not specifically PAL versus NTSC, nor region-encoding, issues. So what was wrong? Our Studio Pro authoring specialist gave up at that point: ?There?s nothing more I can do, ? he said. ?Either you find somebody who knows a lot more than I do ? and I?ve been doing this work full-time for over 20 years ? or you scrap the project.? We hunted around and discovered Trai Forrester and TFDVD on the opposite side of the country. Trai found and solved all of the DVD?s play problems. Then Trai tested it on the company?s large bank of players, including known problematic machines that Trai collects for this purpose. At last the DVD worked perfectly both at TFDVD and then on our Polish and Mexican testers? old and off-market machines. ... Trai made a DLT tape for each of the DVD?s two discs... and he verified the check discs from the glass masters prior to replication. Since early 2009 the DVD has sold in Mexico, Poland, and the USA without report of a single play problem. Next time I plan a DVD of such complexity I?ll consult Trai from the start." "DVD replication is still not a foolproof, guaranteed process without some sort of third party verification. I have seen failed replication jobs that cost thousands, with client, author and replicator all fighting over who is responsible for taking the hit. Whenever I have a high-pressure job, I take it to TFDVD because I know it will be done right with the highest level of accuracy, professionalism and turn around time. "I highly recommend Trai for his services because when I was just clueless as to what was going on with a problem we had on a replicated title, Trai helped us out tremendously. He found out that our replicator was the one with the mistake and not my authoring. We ended up getting our money back from the replicator and the problem was solved. He has helped us out on more than one occasion. Thanks Trai." "We were in the final stages of a video project involving three different client organizations across two countries. When one of the clients could not get the near-final DVD to work consistently on a variety of DVD players, we were in a panic trying to figure out what was wrong. In searching some of the DVD authoring forums online, I saw a number of posts from Trai Forrester, and positive recommendations from people who had used his company. I checked out his web site, and it seemed like the perfect solution to make sure our product would work on as many players as possible! I talked with Trai on the phone, and he was wonderfully helpful and informative. I convinced my clients to let us go for TFDVD Research Lab's Premium Package to make absolutely sure we'd covered all bases for reliability and usability of the discs, particularly since we were using a replication company out of Mexico that we had not used before. Trai was extremely professional and helpful throughout the entire process, taking the time to explain what he was doing and what the results of the tests meant. His service was quick, and he was careful to maintain clear communication on testing status so that I could keep my clients informed of the process. My clients were thrilled with the results. "Our no-budget indie film project, DIVINE MANIPULATION OF THE THREADS, was a project that had gone through the hellish gauntlet of DVD production gone horribly awry...We authored the Dual-Layer Project on a DVD-R DL, and sent it off to the replicators. The disc came back, with a glitch -- a one second skip that broke the video and audio in playback. No one could tell us why the glitch was happening. After three weeks of waiting for answers, the project was run through a different replicating facility after putting the project on two DDP discs. The project also came back with a similar glitch, in a different location. Still, no one could give us an answer as to the cause of the problem. Someone around the digital grapevine had mentioned Trai's name. I looked it up and contacted him through e-mail. Trai called me within 30 minutes of sending the e-mail. I was simply shocked. Trai took in our project and dug in deep. Within a matter of hours after receiving the two DVDs, Trai called me with the answer. The various project problems that Trai found were of the scope that should have never allowed us to master the disc in that manner. One of the most important things I can say about Trai is that his work speaks for itself. This man knows more about DVDs than the people that are creating them. He set my worried mind at ease with several updates during the week. He took it upon himself to find better ways to make the disc work. He found a method of transferring our Dual Layer project to a single DVD-5... completely eliminating the need for a layer break. Trai is a consummate professional... He even called the representative dealing with our replication and made certain that we wouldn't have to shell out another penny." "You know those moments in life when someone goes above and beyond to help you? It might have been someone that helped when your car broke down in the middle of the night during a snowstorm. Maybe someone loaned you money when you were down and out. You probably have a handful of these times that you remember for years. Working with Trai Forrester was one of those times for us. Trai's seemingly unlimited and immediate attention to our needs was astounding, and he saved the day. Thanks Trai!" Justin Bomberg, Owner - Story Me This Productions, Inc. Video producer for the Rolling Stones, AC/DC, National Geographic Channel, ABC News, and others. History: 7 rejections at the replicator's: " We worked our way up the food chain of every technical support center in the DVD kingdom–Studio Pro, Eclipse, etc–until they all said we’d stumped them. We’ve also received a lot of helpful suggestions from various online user forums. We chased down every lead, but still no joy....Less than 24 hours after shipping off my hard drive, I get a call from our newfound hero/expert saying that he’s fixed the problem. Yay!... Huge thanks to Trai Forrester, the professional troubleshooter who rescued us from DVD hell." "We had less than a week to author the job, and submit a 100,000 piece replication run for a client's magazine DVD insertion. The deadline to get the discs to the publisher had arrived. Success meant an important new monthly revenue stream. Trai worked with us on authoring settings, and then downloaded our DVD-9 Image by FTP from our company's server in the UK, ran through all his checks, wrote the DLTs, verified them and overnighted the tapes to our replicator in Germany; turning around our job in 18 hours (he stayed up all night). Amazing. The project was a success! Thank you Trai!" "As I neared the end of the development phase, I knew that it made sense to speak with Trai about insuring that I could deliver the project to market. I had created the interactive prototype on the DVD Studio Pro system, but due to the abstraction layer I knew I would suffer some compatibility and efficiency tradeoffs. Trai agreed to "re-author" the project using my assets from the DVDSP project using his Scenarist Pro system (to make cleaner Pan and Scan Menu wide version button highlights. Ed) and DVDAfterEdit program (post authoring from scratch. Ed. 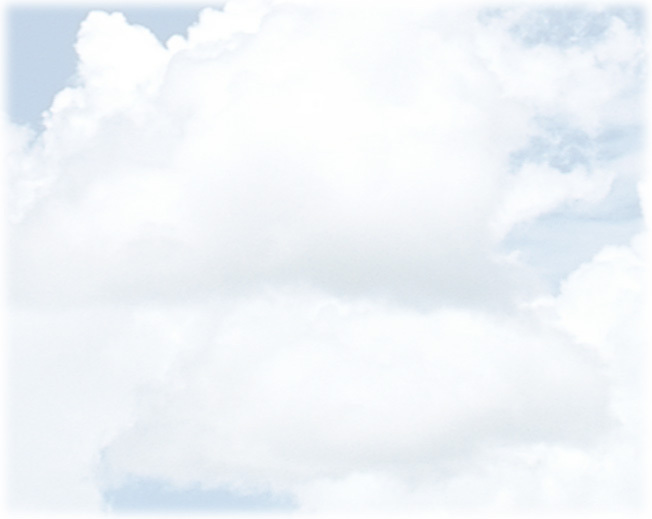 ), to gain better compatibility and efficiency. Through last minute edits and changes, cascading problems, merging data, etc. (we were really pushing the envelope on this one), Trai, was incredibly patient and helpful. In an art project, everything matters. There really isn't an option for even subtle oversights. This amazing project would not have happened were it not for Trai’s generosity, understanding and perseverance. I strongly recommend him for any project that really matters."